One of the things that you may want to consider if you are a regular traveler is getting a timeshare. When most people think about timeshares, they think about the people trying to rope them into a time wasting seminar to buy something that they cannot afford. While it is true that timeshares are not perfect for everyone, for people that travel on a regular basis they may offer a huge number of advantages over your regular accommodations. In addition, most people are not aware of how affordable a timeshare can be. Most people just haven’t done the math. 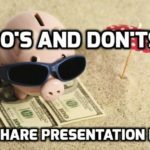 If you total up what you spend as a regular traveler that you would save if you got a timeshare, you might be surprised at how closely the two numbers resemble each other – or even how much money you saved by getting a timeshare. For regular travelers, a timeshare is almost always a good idea. 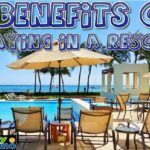 But in case you need some more motivation or further convincing that timeshares have an amazing array of benefits to offer travelers, let’s take a look at 11 of the benefits that you’ll get by buying a timeshare if you travel on a regular basis. One of the downsides of going on vacation is that you have to pay for everything every time you go. 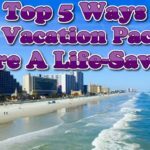 If you decide to go on vacation four times this year, and you spend a week on vacation each time, you are going to have to pay for your hotel and other accommodations for a total of four weeks. That can get really expensive depending upon what hotel you choose and where you decide to go. But if you have a timeshare, the more often you use it, the more you get out of the money that you spent for it. That results in savings. If you decide to stick with your home base you will already know where everything is, you are going to be saving a great deal of time. For example, you don’t have to spend time roaming around the airport trying to claim your luggage or dealing with unfamiliar surroundings. The same goes for renting a car and getting to your timeshare. You will have made the trip before so you know how to get there. You also know where the stores are around you and where you can go for a good burger. You don’t have to use your phone trying to navigate through unfamiliar streets when you have a timeshare. You have better security in a timeshare because you can count on the people that are sharing your unit with you and the neighbors that are around you. Hotels usually offer pretty good security, but it is even better with the timeshare. You will feel more secure knowing that your neighbors know who you are and will let you know if there is anything going on. Plus, if you get bored you can always invite them over for a game of cards. Have you ever tried to find a hotel room when everything in town is booked up because of a major event? That’s something that you do not usually have to deal with when you have a timeshare. With the proper advance notice, it is going to be available no matter what. This is your place and you can take possession of it whenever it is your time. You do not have to call every hotel in town, or pay exorbitant rates because there is some major event that you are not participating in but still suffer the consequences for. Since you can leave some of the essentials at your timeshare, you can actually travel lighter. You do not need to pack as many things, nor do you need to bring some of the essentials that you can leave behind. This can be a major advantage because it leaves room in your luggage for other things. Plus, it makes getting through airport and especially airport security much easier. People that own timeshares love the fact that they can come and find their own toothbrush and hygiene supplies when they arrive. Some people even purchase the second vehicle and park it at their timeshare so they do not have to rent a car. A timeshare gives you a full kitchen which means that you’ll save on food costs. Since you do not need to eat out, and can buy things that can be prepared in your own kitchen, you are going to save a lot of money on food costs. You can buy regular groceries and make sure that your family eats healthy while still saving money. This is one of the biggest benefits of having a timeshare. Hotels do not always have reliable internet, but when you have a timeshare you’ve already set up your own internet and so you know it is going to be reliable and there for you when you need it. This is especially important when you work online, or you have a job where you have to check in regularly over the internet, download files or work with online resources. In these cases, you absolutely have to have reliable internet, and hotels just cannot provide it to you 100 percent of the time. But when you own a timeshare, the internet is already set up and the speed is as fast as you need it to be. You’ll have access to everything you need to and be able to do your job with no hindrance. Since you already know things like what airlines you are going to be on, where you are going to go in the airport when you get there and how you are going to get to your destination, vacation preparation is a lot easier when you have a timeshare. 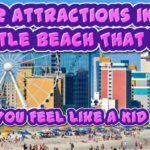 Plus, if you have a timeshare in cities like Orlando, where there are thousands of attractions, you are going to get to experience everything all at once without the inconvenience of having to navigate your way across an unfamiliar city. People that have a timeshare learn the city that they live in part-time, and that means that they can simply head to their destination without the fear of getting lost which means you are going to enjoy yourself much more. Since you don’t have to worry about additional hotel costs and all of the associated spending the goes with it such as food costs, room service and the like, if you happen to have an extra week that you don’t have to be back home, it is much easier to make a decision to stay longer. For most people on a vacation, staying longer isn’t something that they can do even if they get the time off work. Instead, they have to head home because they simply cannot afford to stay at the hotel or resort for another week. But when you have a timeshare, you don’t have to worry about that. You are already saving money by staying at the timeshare, and another week is not going to make much of a difference. These days you can easily trade your timeshare and travel around. There are lots of websites and services that do this, so if you decide that you are tired of the destination that you normally go to where you own a timeshare, you can easily trade your timeshare and go somewhere else. Having a timeshare gives you a great deal of power. You are able to decide where you want to go and work with people who want to come where your timeshare is located. The portion of your timeshare that you own is just like your own home. You can do whatever you like with it, and for many people that means finding new ways to travel around and getting to see destinations that they normally would not go to. A timeshare definitely gives you better accommodations. The bed that you sleep in at a timeshare might be your very own that you have chosen, especially if you have your own bedroom with your own furniture in it. The same cannot be said for a hotel. While many hotels are luxurious on the outside, when you actually get into the room you find that the bed is uncomfortable and the room is not up to your satisfaction. But when you own a timeshare, everything is all up to you. You decide how comfortable your bed is going to be, you get the sheets and blankets that you want, and you always have the perfect pillow with you in the bed. Plus, you have accommodations like a full sized kitchen, a deck and many other extras that you would not find if he stayed in a hotel. While timeshares are not for everyone, it’s important, if you do travel regular to at least keep an open mind about the idea of it. If you’re interested in learning more about what’s involved with purchasing a timeshare, the first step should be looking into discounted timeshare vacation packages and securing your stay. This will allow you to experience nice accommodations and will come with a short 2-hour tour with a knowledgeable representative which is designed to show you around the property, allow you to see the various amenities, and answer any questions you might have. The best part is, there is no obligation to buy anything, not even a candy bar at the gift shop, so if you decide not to join right then and there or that it’s not for you at that exact time, that’s fine, just enjoy your stay and make sure to tell your friends and family about all it! 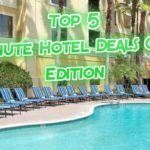 Search Hotels On Promotion Here.